Hey Lovelies, as most of you know, I have been stuck for two weeks not able to do anything but sit or lay down. So outfit posts are a bit in short supply. So I thought I could take this time to talk about some other loves of mine. As a makeup enthusiast, I feel that it is my obligation to tell you about my new(ish) obsession. If you are a close friend, you may have even heard me rave about them already. I have to tell you about Colourpop. Just thank me later. Unfortunately, I am not an affiliate and I don't have a code for you. I could be wrong, but I do not think that they have a program for that. Trust me though, if they did, I would be a part of it. I was even selling to some of the girls at the Mac and Estee Lauder counters at the mall, without even getting a cut. I can however, give you a tip on how to go about purchasing. So if you are interested in that, stay tuned. ***Disclaimer: If you are not prepared to buy, don't even look! I think I found ColourPop through instagram one day while browsing. They have a variety of lip products, but their ultra matte lip products are what really drew my attention, or maybe it was their prices. I am not really for sure. Did I mention that the lip products are only 5$-6$. You heard me right. Only five dollars a pop. They also have eye, cheek, and highlight products that you may be interested in. I have been all about that matte lip life lately. I overdraw my top lip, because it is basically non-existent compared to my huge bottom lip. Matte lips make it harder to notice when I do that. When you use glossy products to overdraw, the light catches and reflects off of your natural lip line. It is a dead giveaway to overdrawing. When I saw their Ultra Mattes, I died. I ended up purchasing five of their Ultra Matte Lips and two of their Sheer Lippie Stix. I am here to tell you that I WILL be buying more. 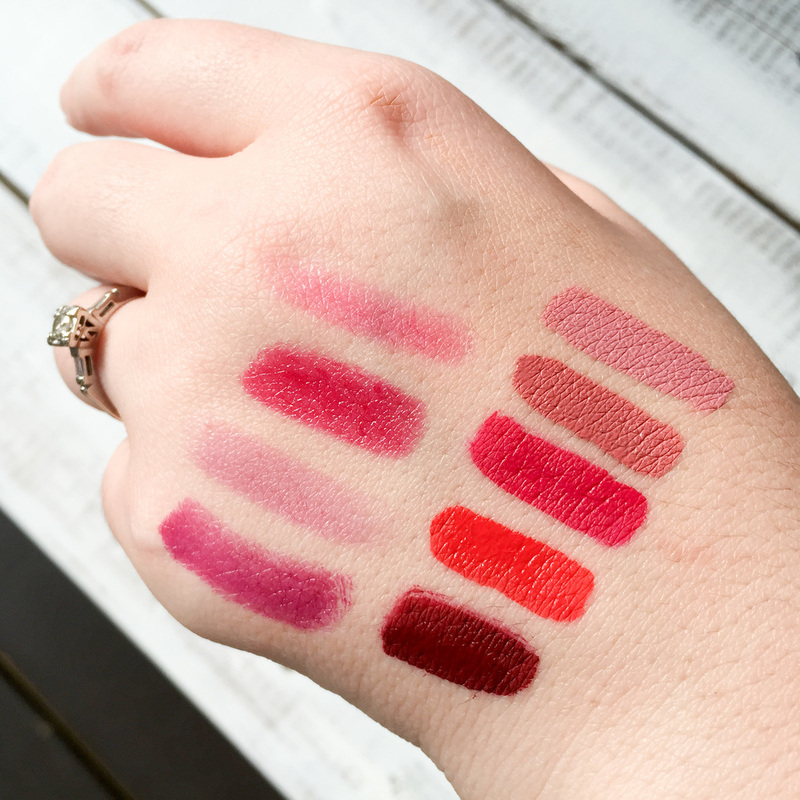 Okay so now lets talk actual product: the ultra mattes. I can not get enough of them. They go on a thin liquid that dries to a very dry matte. I put them on, and they stay there until I take them off with makeup remover. I am going to be honest though, they will not be for everybody. If you can not handle a super dry formula, then this is not the product for you. Truthfully, it does not bother me, in fact, I actually like it. Jereme can not stand when I leave a product residue after kisses, and I like kisses. Ha. Once these dry, they are not budging. Tips: I always wear a balm before I know that I will be wearing it, and just wipe it dry before I apply the mattes. I also use a lip scrub to remove dead skin. If your lips are already dry then the mattes will make them look like a desert if you don't do anything to combat that. Also, do not wear a thick layer or layer more than one layer. If you do, it is more likely to peel and flake. If you need to take it off but do not have remover, use different thick gloss and apply it over top. Then wipe it off. Works every time. Lastly, I use a lip serum at night to intensely moisturize my lips so that the drying isn't too harsh. As for the lippie stix, I can not imagine any one having a complaint about them. I chose the sheer formula this time but next time I will be trying some other ones. They have satin, gloss, hyper-gloss, creme, matte, and pearlized. I need them all. The struggle is too real. Tip: For these, I dab it all over my lip and then blend it evenly with my finger to get the sheerest application. They are buildable, if you don't like that, but it kind of defeats the purpose of buying sheer. Now lets talk buying tips. When you sign up for email, you will get a five dollar off coupon. If you spend thirty dollars, you get free shipping (which was about six dollars for me). So I placed an order of forty dollars worth of product but got the free shipping , and used the five dollar off coupon. That made me actually only spend thirty-five dollars. I spent the same amount as it would have made a normal purchase and paid for standard shipping. But, it was like I got two products for free. Did that make sense? Oh well, it made sense to me. Or maybe it was just an excuse. Either way, I do not regret the purchase, so it worked out well. Above are a few car selfies wearing some of these products. :) If you have any questions that I did not cover for you, please do not hesitate to ask. Yes these products are cruelty free. They are all gluten free, and they have vegan options. Although, I would not recommend you eat them. When you purchase, they also send you a little hand-written note. How precious is that? Swatches below. Thank you so much for stopping by. 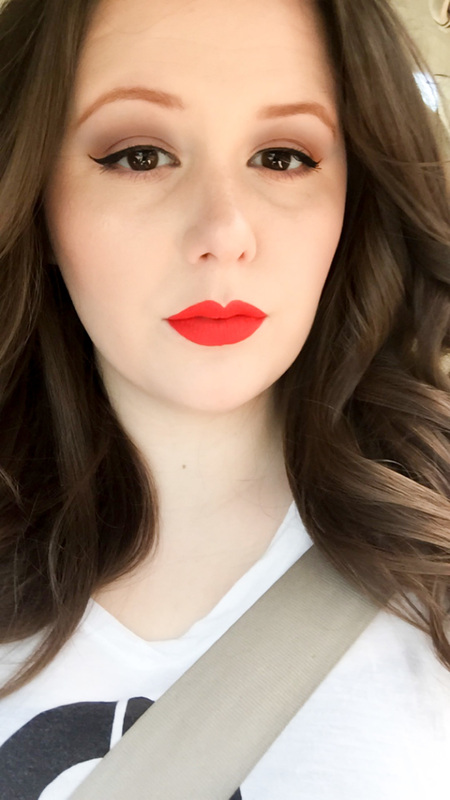 Mars - This is one of the most interestings colors i have ever worn.